The Witcher 3 - Wild Hunt comes with many dialogues and decisions. Most of them take you to another dialog line. A few have serious consequences - often identifiable by a timer, which forces you to a quick decision. About the end of the game will be decided very late - only when Geralt and Ciri meet. In the course of subsequent history, there are 5 key moments in which towards Ciri’s positive or negative expresses influences the end ... but other factors also play a role. Both Emhyr and Radovid want to prevail war over the north ... throughout the game but also considering Dijkstra’s claim. You can choose exactly between these three rulers. Only when this option survives “Emhyr”, otherwise he dies. When achieved Skellige experienced the death of the old king and a competition for the new crown. Both the children of Crach to Craite and Svanrige Bran can take the helm on Skellige. As always, Geralt must decide between females Triss or Yennefer - or he remains alone. 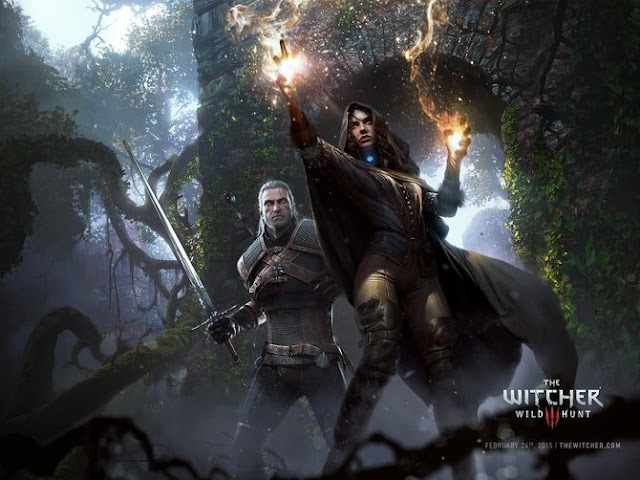 - Can leave Triss during the side quest "Now or Never"
- Yennefer Rejection on the side quest "The Last Wish"
By the latter approach, the Quest is all good things come in threes thrown in revenge the two ladies at you for your behavior. How are probably made with Ciri? The future of Ciri necessarily means also the end that you have earned. The end is largely determined by five key moments where you collect at Ciri plus or minus points. - After Vesemirs death Ciri is unhappy. Chooses a dialog "I have an idea what might cheer you up" in order to trigger a snowball fight and collect a plus. - Shortly thereafter, Ciri, Geralt wakes up at night to track him a General of the Wild Hunt. Geralt asks her if the previously Emhyr want to see. If you suggest that you travel to Vizima. Once there, you want the emperor reward for finding his daughter. Reject the money, you will receive a bonus at Ciri, otherwise a drawback but beware. If you travel to Vizima, you can not get the Sorceress-end. - During the quest, "final preparations" want Phillipa and Margarita talk to Ciri. If you let Ciri go alone, you will receive a bonus. - In the laboratory of Avallac'h you learn of his intentions. If you calms (first option), there is a downside. Let your emotions run free (second option) and devastated the laboratory, there is a plus point. - A little later Ciri wants to visit the grave of Skjall. Right now (plus) or rejects (minus point).